Tell us about iRule, what do you do and how did you get started. As a hobby, I loved my home theater and when I wanted to upgrade my control system I had many quotes and all were out of my budget. 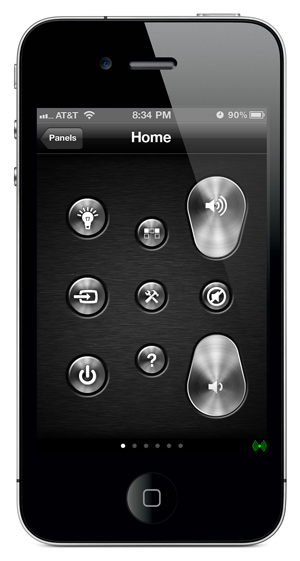 I decided with a friend (Victor, my co-founder) to try to turn the iPhone into my remote control for my home theater. As a result, we began working to create the control solution I always wanted. Something that was flexible enough to handle my needs and the needs and the needs of my family so everyone in the home could use the system and enjoy it. Back at the end of 2014 iRule bought On Controls. What was the reasoning behind this purchase and how has the integration of On Controls with iRule gone? We bought On Controls because we wanted to expand our commitment to the dealer channel and be able to focus on both markets without compromise. The result has been excellent because we have expanded on the branding of On Controls and added features that are specific to the dealers such as a management portal and at the same time we are able to provide a solution for our existing DIY customers. What is On Controls? What is it, how does it work, what does it operate? On Controls is a software-based control and automation system. What's unique about our system though is that it's configured in the cloud with almost limitless customization and functionality. The system controls all the common audio/video equipment, but also offers deep integration with automation and lighting solutions like Lutron's new Caséta Wireless system, to thermostats like Nest. That customization and functionality offers an versatile solution that when combined with our price point, makes for a tremendous value. Who is your target audience, and current users for On Control? Our target audience is residential, business, and enterprise customers who are looking for a solid, reliable, custom control system, and have found the alternatives either much too expensive at the high end, or not flexible at the low-end. We have a diverse customer base of integrators across the residential and commercial spectrum, and end users like Best Buy Magnolia, CNN, Radio Shack, a Hollywood post production facility, and various casinos and professional sports teams – to name just a few. How is On Controls installed? Who handles the installation? On Controls installation is performed by one of our certified integrators. Using our cloud-based tools and templates, our dealers can recall each template created for packages they use often so that the programming time for these replicated systems is reduced to minutes. This is far more efficient than starting the programming process from scratch each time a system is installed. How does the On Controls system scale? The system is extremely flexible. We have dealers doing typical residential work like dedicated theaters, media rooms, and living rooms, but we also have dealers installing larger multi-room systems. Commercially, On Controls is in bar/restaurants with 80 TVs, a horse track with 150 TVs with signal routing, and all controlled from an iPad. There's also the Best Buy Magnolia project, where the On Controls platform is deployed in over 400 stores, controlling the retail demonstration experience, and all centrally managed from their headquarters in Minnesota. How much is On Controls? A basic system starts at just under $500 retail (plus design and installation). With one of the lowest deployment costs of any system in the industry, our are enjoying great margins along with the flexibility of the system. Take a look in your crystal ball, where do you see Home Automation 5 years from now and how is iRule and On Control a part of that? The world of control is changing quickly. Just a few years ago, the idea of touch screens on every device were out of the reach of most people. Today, we have amazing touch screens for a fraction of the price in our phones and tablets. We see a lot of development in areas of voice control, location based events, and emerging technologies such as glasses and watches. The key will be that solutions are getting less expensive and will be available to more people. On Controls will continue to use the latest technologies to make the home and the solutions within that home simpler and better to use. Where can customers go to purchase an On Controls system? We have a worldwide network of authorized installers. Customers can contact their local integrators, or visit our website and use our dealer locator to find a professional installer near them. Itai holds degrees in both Management Information Systems (MIS) and Management from the University of Michigan, where he founded his first company, Cube Systems, an IT service provider. 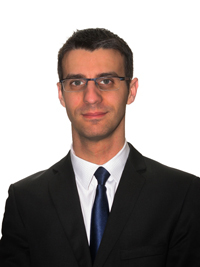 In 2004, Itai joined Cognitens, Inc. as an IT Manager and Application Engineer. Following Cognitens’ acquisition by Hexagon Metrology, Itai joined Perceptron, Inc. (NASDAQ:PRCP) and focused on the implementation of large-scale, laser-based computerized measurement systems. While at Perceptron, Itai implemented innovative distributed measurement solutions. Itai has always had a love for movies and home theater. In 2003, the journey began to build his home theater after a local home theater club meet. After years of learning and assisting others with their own theaters, Itai designed and built his own home theater. The theater incorporates several unique solutions, earning him a feature in the DVD series “Home Theaters Revealed”. Following the completion of his theater, Itai was dissatisfied with existing control systems and began researching new solutions. After discussing with his friend Victor the “Internet in the living room”, cloud computing, and smartphone and tablet platforms, iRule was founded. Itai is a board member of the Consumer Electronics Association TechHome Division.